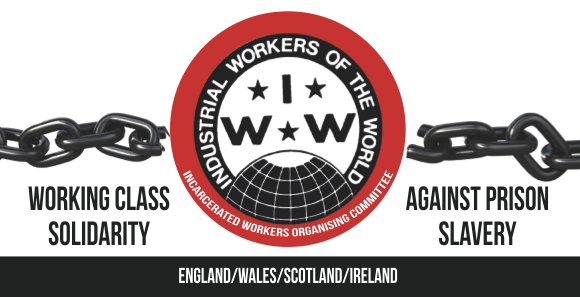 The Incarcerated Workers Organising Committee of Wales, Ireland, Scotland and England stands in solidarity with the prisoners of HMP Birmingham, who have successfully brought to the public’s attention the violent and inhumane conditions they face in the privately run G4S prison. G4S is a company with a long record of human rights abuses and is profiting from running some of the most violent and oppressive parts of the state apparatus. Profiting from caging human beings is morally wrong and leads to worse conditions across the justice system, through the government process of benchmarking its own performance against the so-called ‘efficiencies’ of the private sector. However, the problems prisoners face at HMP Birmingham (lack of access to healthcare, long periods of being locked in cells, lack of activity and high levels of violence) are prevalent across the prison estate, the vast majority of which is made up of public prisons. The problem is not privatisation but prison itself. When we, as a society, choose to demonise individuals and lock them up instead of seeking real solutions to social problems such as poverty, racism and interpersonal violence, the inevitable outcome is more poverty, more racism and more violence. This is exactly what the current nationwide prison strike in the US is drawing attention to. The strike began on 21st August, with prisoners in at least 17 states taking part in hunger strikes, refusing to work and protesting in an effort to improve conditions and push the government to take steps to allow more prisoners to apply for parole. The prisoners’ list of demands include immediate recognition of the humanity of imprisoned men and women, an end to prison slavery, an end to racist gang enhancement laws targeting people of colour, and democratic representation for all confined citizens and so-called “ex-felons”. We express our solidarity with striking prisoners in the US and our commitment to making many of their demands in this country. We must look beyond the narrow frame of private prisons vs public prisons and remain focused on the human rights abuses occurring in all prisons every single day. To end the violence of the prison system, we must resist the expansion of the prison system and look to solutions outside of our wholly unjust criminal justice system, such as making housing and mental health services available to all. Despite the disastrous conditions at HMP Birmingham, the government is planning to build two more mega-prisons in the midlands. People in the Midlands are coming together to say no to prison building on their doorstep and to demand that resources are re-directed to communities instead. To get involved in the Midlands Anti Expansion Network, contact the Community Action on Prison Expansion.